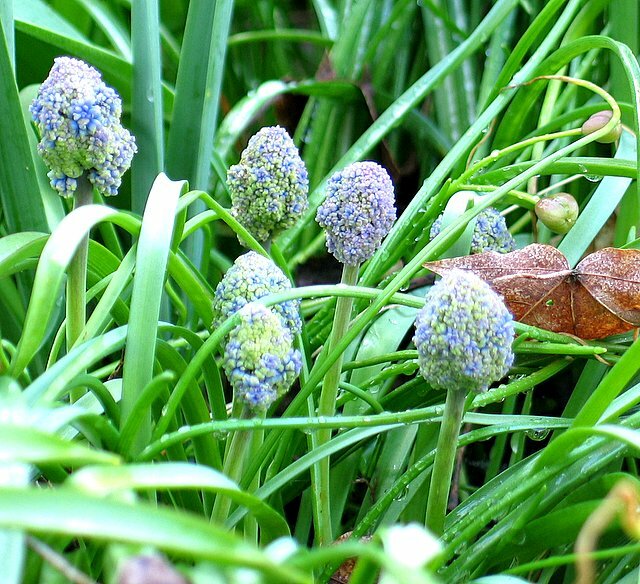 I think these are probably some kind of grape hyacinth (muscari) but they look pretty strange at this stage! Very nice. After a long winter spring is so great! lovely catching up with your pictures...I love the country!!! They do look funny - but soon they'll flower, I imagine!